Traditionally, AV and other endpoint security products have focused on files (executables) to detect and prevent malware. There are several advantages to this. Files can be hashed, queried in reputation services, examined by both static analysis and machine learning, and easily excluded for false detections. These advantages lead to a problem for attackers. The name of the game is monetary gain: threat actors aim for cost-effectiveness, seeking the highest return for the least amount of effort. Yet the rewards for creating and delivering file-based malware diminish as soon as it ends up on public feeds. If the malware’s signature is detected two days after release, the attackers ROI (return on investment) may be significantly less than expected, or even negligible. The SentinelOne H1 2018 Enterprise Risk Index Report shows fileless-based attacks rose by 94% between January and June. PowerShell attacks spiked from 2.5 attacks per 1,000 endpoints in May 2018 to 5.2 attacks per 1,000 endpoints in June. Over the past few years, threat actors have increasingly turned to fileless malware as a highly effective alternative. Fileless malware is malicious code that does not require using an executable file on the endpoint’s file system besides those that are already there. It is typically injected into some running process and executes only in RAM. This makes it far more difficult for traditional AV and other endpoint security products to detect or prevent because of the low footprint and the absence of files to scan. There are many ways to run code on a device without using executable files. These often utilize system processes available and trusted by the OS. Another type of attack that is considered fileless is malware hidden within documents. Although such data files are not allowed to run code, there are vulnerabilities in Microsoft Office and PDF readers that adversaries can exploit to obtain code execution. For example, an infected document could trigger a malicious PowerShell command. There are also a few built-in functionalities that allow code execution within documents, like macros and DDE. One of the reasons fileless malware is so compelling is that security products cannot just block the system files or software that are utilized in these kinds of attack. For example, if a security admin blocked PowerShell, IT maintenance would suffer. The same applies to blocking Office documents or Office macros, which would likely have an even bigger impact on business continuity. The lower footprint and lack of “foreign” executables to scan makes it difficult for traditional AV and other endpoint security products to detect or prevent these kinds of attacks. Enterprises understand that the lack of effective protection from fileless malware could leave their organization extremely vulnerable. As a result, security vendors came under pressure to address this growing threat and created all kinds of patches in order to claim (or to demo) their “file-less attack” coverage. Some products use agent-side monitoring only and make the decision on the server or in the cloud. This approach has the same disadvantages as any detection that does not happen on the endpoint. Mainly, in order to work, it requires connectivity and prevention is impossible because the agent has to wait for the server to respond before acting. The key is to look at the behavior of processes executing on the endpoint rather than inspecting the files on the machine. This is effective because, despite the large and increasing number of malware variants, they operate in very similar ways. The number of malware behaviors is considerably smaller than the number of ways a malicious file might look, making this approach suitable for prevention and detection. Although SentinelOne uses multiple engines, including static and behavioral AI, the behavioral approach is extremely good at detecting and preventing this type of attack because it is agnostic regarding the attack vector. The effectiveness of this approach is demonstrated in examples like the WannaCry campaign, where SentinelOne was able to defend customers before the ransomware had been seen in the wild. SentinelOne monitors all activities on the agent-side at the kernel level to differentiate between malicious and benign activities. Since the agent already holds the full context: users, processes, command line arguments, registry, files on the disk, and external communication, any malicious activity can be effectively mitigated completely. SentinelOne can rollback all the bad deeds and allow the user to work on a clean device. Essentially, SentinelOne allows you to waive the hidden costs of keeping your network clean from bad code, across your entire network. To implement this approach effectively, SentinelOne employs the concept of “Active Content”, which solves the problem of apportioning blame to the root cause of a malicious activity. For example, suppose a user downloads a malicious attachment via Outlook, which then tries to encrypt files on the disk. In this scenario, blaming and quarantining Outlook as the parent process would miss the true source of the malicious activity. Instead, Outlook should be included as the source for forensic data to show but not mitigate against. You do, however, wish to mitigate the entire threat group, regardless of any additional files dropped, registry keys created or any other harmful behavior. Using Active Content lets us determine — and point the blame towards — the root cause of a given malicious flow, with or without a file, and allows the customer to handle the incident accurately. Ultimately, adversaries will always take the shortest path to compromise endpoints in order to get the highest return with the least amount of effort. 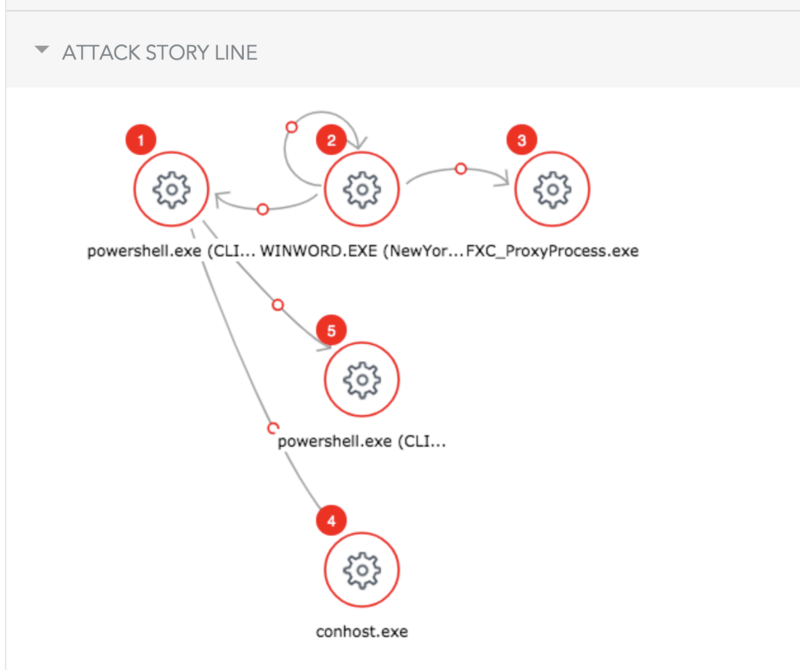 Fileless malware is quickly becoming one of the most popular ways to do so, and to prevent such attacks, it is not enough to just block essential operations like PowerShell. What is needed is a product that can prevent attacks utilizing exploits, macro documents, exploit kits, PowerShell, PowerSploit, and zero day vulnerabilities locally, without impacting your employees’ day-to-day productivity. We’re hosting an event with SentinelOne on November 29th at William’s Landing, Toronto. Join us to find out how to effectively recover from a ransomware attack using a security software that defends every endpoint against every type of attack. Register today here!